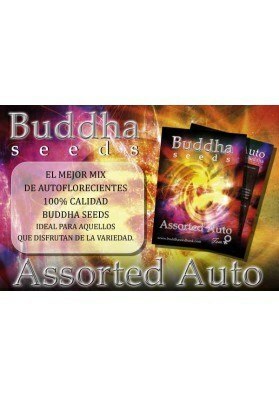 Buddha Seeds present their Assorted Auto: it is a pack of 5 autoflowering seeds + 5 surprise seeds. 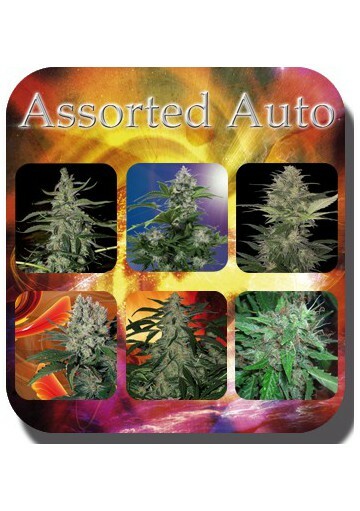 This mix is the best option to try a range of different strains from the Buddha Seeds catalogue at a very affordable price. If you buy option 1 seed, you obviously get 1 seed out of 10. White Dwarf: The White Dwarf from Buddha is a discreet, potent, tough and fast flowering strain suitable for beginners. Red Dwarf: It's the White Dwarf sister, a wonderful dwarf strain able to produce great aromatic Marijuana in only two months. Deimos: belonging to the Northern Lights family, Deimos has been created by breeding for 7 generations until becoming automatic. Syrup: sweet buds, narcotic effect and high therapeutic value in only 2 months. 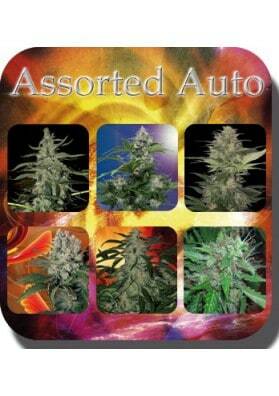 Purple Kush: it is a very beautiful plant developing violet buds and giving an Indica relaxing high. Besides these seeds, the pack also includes 5 surprise seeds of different crossings that will be soon on sale and other experimental hybrids. 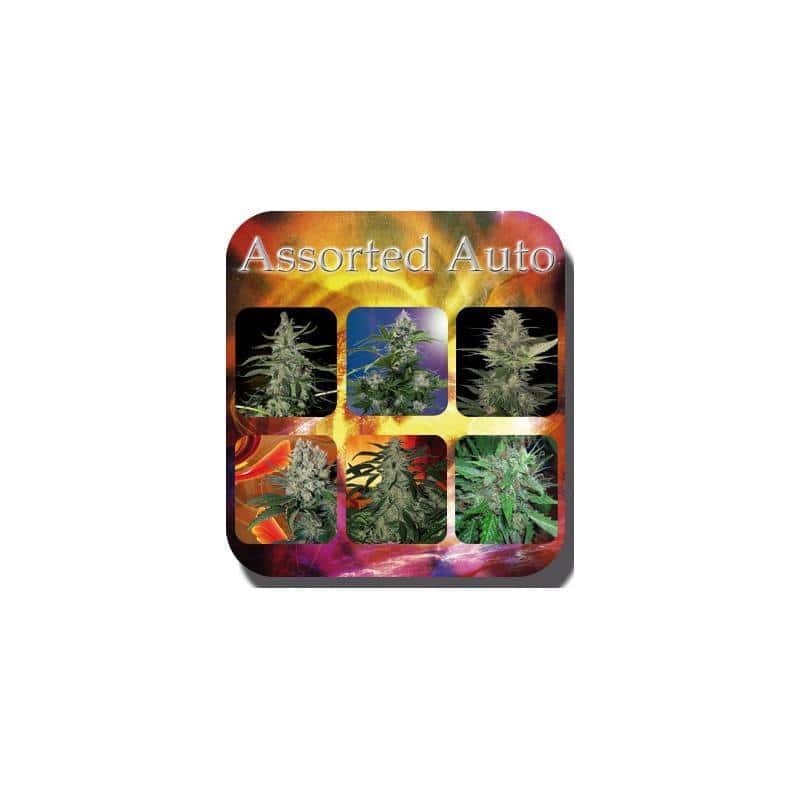 All seeds included in Assorted Auto from Buddha Seeds are 100% autoflowering and 100% feminized. The expected time for harvesting the buds ranges from 50-55 days and 80-85 days. The product is presented in a single tube without any identification marks. 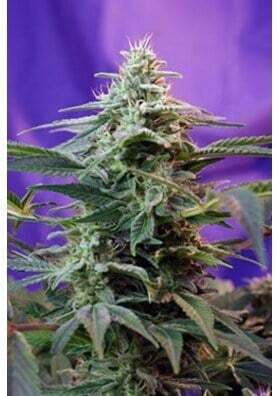 This mix is the best option to try a range of different strains from the Buddha Seeds catalogue at a very affordable price.